Richard is the Chair of the MemberWise Network and one of the leading membership and association thought-leaders/sector champions in Europe. His role includes overseeing the direction of the network, ensuring content meets the needs/requirements of the UK/EU membership and association sector and providing expert consulting services to a number of leading membership organisations/associations. Kerrie has worked in the not for profit sector for over 10 years in a variety of membership organisations: professional associations, private members clubs, education charities and even museums. With a strong operational background, her membership strategies are successful because they are designed for practical implementation. Her previous projects have involved recruitment, retention, engagement, customer service, marketing, sales, communications and operations – a wealth of experience in all areas of membership. 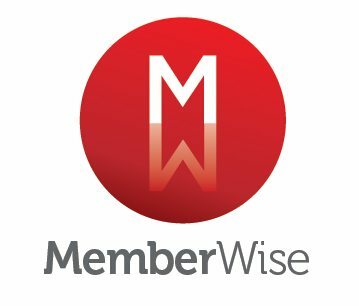 Kerrie is responsible for ensuring the MemberWise Network takes a strategic approach to long term member/stakeholder engagement, value and growth. Claire provides direct support to the Memberwise Network by generating and co-curating educational content that drives the network’s professional development opportunities. This work spans our growing range of online and offline channels. Claire has been an active supporter and advocate of the MemberWise Network for over 10 years and has membership professional experience working with leading organisations including CIWM, Women in Sustainability and the Scout Association. Claire is responsible for the planning and delivery of our Digital Excellence Conference, pursuing speakers and topics that are relevant to the membership sector and it’s long term approach. Luke has a keen interest in sector and workforce development. He leverages this interest through the Network’s workforce services, specifically MemberWise Jobs, our popular jobs board that promotes career development opportunities within leading membership organisations and associations. Luke also supports our vast activities through support at our conferences, quality assurance and input on information and documentation, and advises on MemberWise Connect. In his day job, Luke is Professional Learning and Quality Manager at Fieldwork Education – a membership body that delivers international curriculum in over 50 countries. He has been a MemberWise Network advocate since our inception. Richard provides a range of consultancy services for the MemberWise Network and he supports the planning and delivery of our conferences. He can regularly be seen on the ground at these events helping to ensure that they run smoothly. He provides Royal Charter focused consultancy services to a number of leading professional institutes/associations via the network and has played a key role in enabling a number of these organisations successfully gain Chartership. He also provides independent assessment related services to a number of high profile UK institutions. Richard oversees the MemberWise Recognised Supplier community that now features over 150 leading sector suppliers. Susie has been an advocate of the MemberWise Network since its inception back in 2008 and is responsible for championing professionalism to our 5,000+ members. She has been a supporter since the ‘get-go’! As our Governance Ambassador Susie champions/quality assures the delivery of the network’s governance and continuing professional development (CPD) related educational activity. She can regularly be found Chairing and delivering related content at our national conferences and events. As a consultant working within the membership and association sector, working to enhance governance in all organisations, Susie also conducts a number of membership body consultancy/advisory projects on behalf of the network. I am an experienced CPD professional, with more than 20 years track record at RIBA of successfully delivering CPD frameworks and provision to architects and other construction professionals. I have particular expertise in curriculum and competency development, digital learning strategies, and providing lucrative commercial CPD. I frequently advise other organisations in the UK and elsewhere on CPD. In my spare time, I am a trustee for the charitable trust responsible for an independent cinema in East Finchley, North London. I like to talk CPD, and hope we can learn from each other. As CPD professionals together let’s look at best practice, and what competence and professional standards mean. Let’s support each other, share ideas, and help each other to contend with disruption, innovation and change. Sarah Alder is a digital marketing consultant with a strong track record in the membership sector. A combination of in-house and consultancy work for large and small membership organisations gives Sarah a fully rounded view of strategic and tactical planning for marketing in a digital world. She has a keen eye for spotting opportunities and developing ideas into business plans and her focus is on helping clients line up their digital activities with their business objectives. Her enthusiasm and persistence get even the most reluctant participants involved. 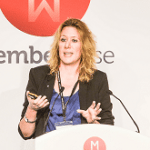 A keen supporter for introducing digital technologies to membership organisations, and using them for the benefit of members and membership professionals, she regularly chairs tracks at Digital Excellence. Janine is an Executive Consultant at Purple and has over 9 years’ experience working within the membership and association sector. She has long championed the work of the MemberWise Network both as a membership/association professional and in her role as a leading sector consultant. Janine has managed a number of CRM implementation projects and has a strong background creating processes for teams that deliver high levels of customer service and long-lasting relationships. As an active member of the MemberWise community, Janine can often be seen facilitating workshops, speaking events or sharing best practice within the community forms.